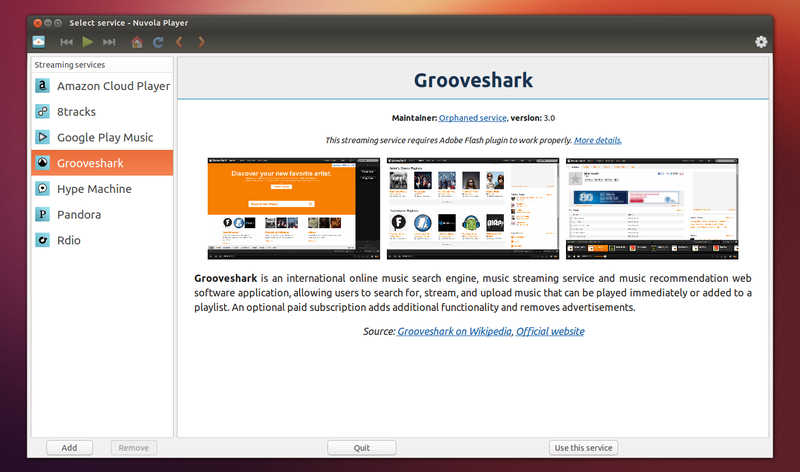 Nuvola Player is an application that integrates cloud music services like Google Music, Grooveshark, Hype Machine, 8tracks, Pandora, Rdio and Amazon Cloud Player with your desktop. Using it, you'll get desktop notifications, multimedia keys support, Mpris v2 (integration with Ubuntu Sound Menu or GNOME Shell Media Player extension) integration, Unity quicklists and more. 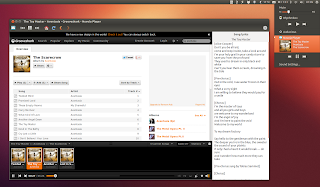 Two Nuvola Player stable versions have been released today: 1.1.0 and 2.0. 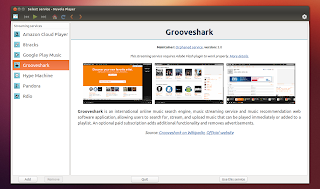 The difference between the two versions is that 2.0 comes with GTK3 (only works with GTK3.4+, for instance Ubuntu 12.04 or newer), but the new features are the same in both versions. The GTK3 port fixes an old issue with a bug in WebKitGTK 1.8 which caused some services to only be partially rendered. extensions support -> some features available in the previous releases are now available as extensions, and can be enabled/disabled. 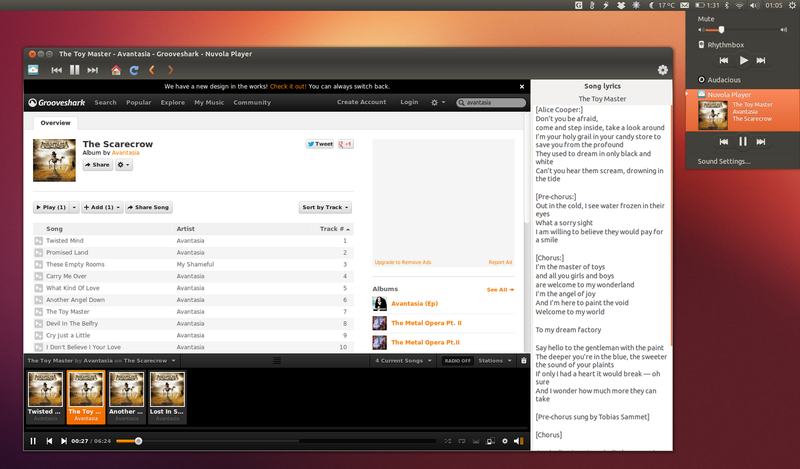 This includes: Dock Manager support, Last.fm, Lyrics, Media keys, Mpris, Notifications, Tray icon, Unity quicklists. Note: some of these new features have been available in Nuvola Player for a while, but in the unstable/beta PPA, not as a stable release. Or, download the source via Launchpad.